Sadly, it’s true that during your treatment with braces, there are limitations on what you can eat. 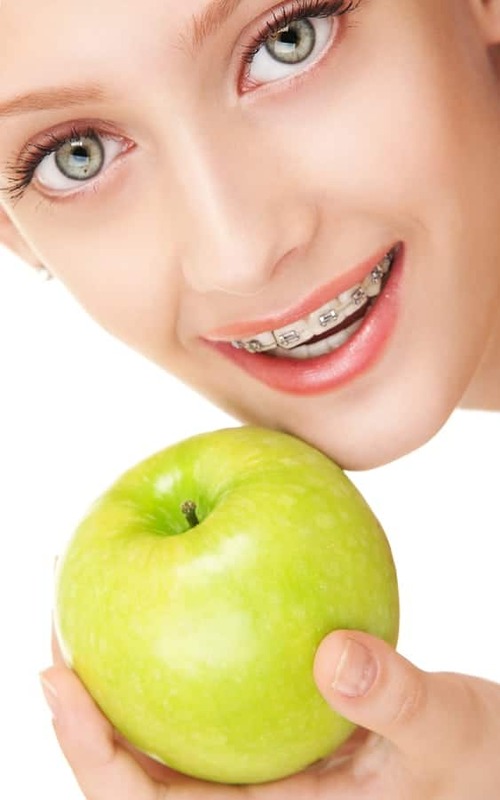 While many are reluctant to give up their favorite foods, the sacrifice for the time with braces is well worth the long-lasting smile which will be achieved. Many patients are also ill-informed on what foods are restricted with braces and believe the list is longer than it actually is. The truth is, there are many alternatives and foods still available to eat with braces! Dr. Matthew Milestone of Milestone Orthodontics is here to share exactly what foods are allowed with braces and what the best foods to eat during orthodontic treatment with braces near Ridgewood, NJ. Before diving into the list of foods which should be avoided and the list of the best foods to eat during your time with braces, Dr. Matthew Milestone believes it is important for patients to know why these foods should be avoided. The three main groups that should be avoided with braces are hard, sticky, and chewy foods. These should be avoided because they are can break your braces which can cause pain to the patient. These foods can also get easily stuck in your braces and be difficult and sometimes painful to get out. However, some of these foods do not have to be completely avoided. One Milestone Orthodontics professional says that foods like vegetables, steak, and pretzels can be broken or cut up into smaller pieces and then eaten. Dr. Matthew Milestone wants to make sure that all of our patients with braces, and every patient, eats healthy and gets enough daily nutrients. Along with this, it is important to be careful of the foods you eat during your treatment with braces as some can damage your braces or prolong your treatment. However, there are many foods which are nutritious, taste delicious, and are good for your braces. For more information or to schedule an appointment with Dr. Matthew Milestone and Milestone Orthodontics near Ridgewood, NJ, please contact us by visiting our office or calling 201.845.8411.